This stock was posted on Tuesday and yesterday it shot up by 7.9%. 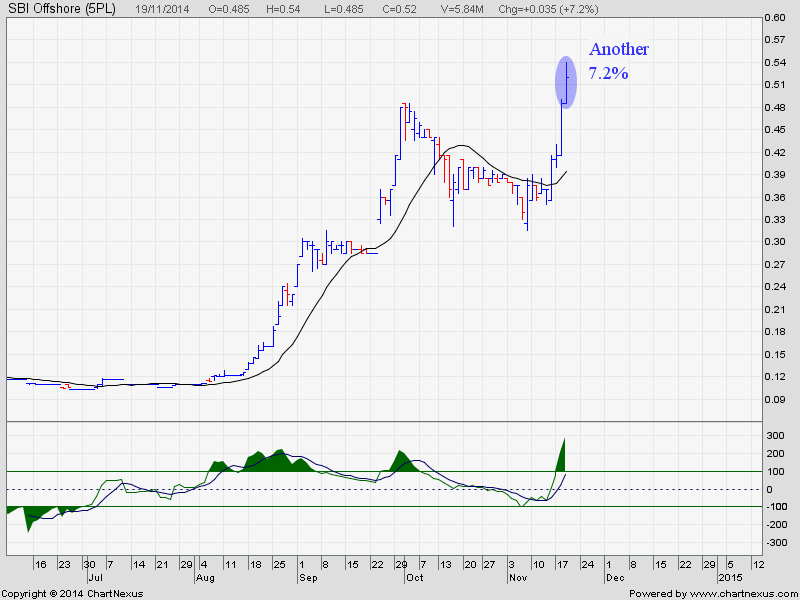 It is indeed a marvellous stock. While waiting for Adventus and Rowsley to give me a big New Year Gift, Mr Market gave me this yesterday to reward me for being patient. As a trader or investor, our job is to be patient to wait for the stock to grow. To wait for the right signal to enter the market. And to wait for the right signal to exit the market. No emotion involved. Don’t need to fear the Market. Don’t need to be greedy for profit. Just trade and invest according to the chart. For those who missed this stock, today there is an entry signal again. 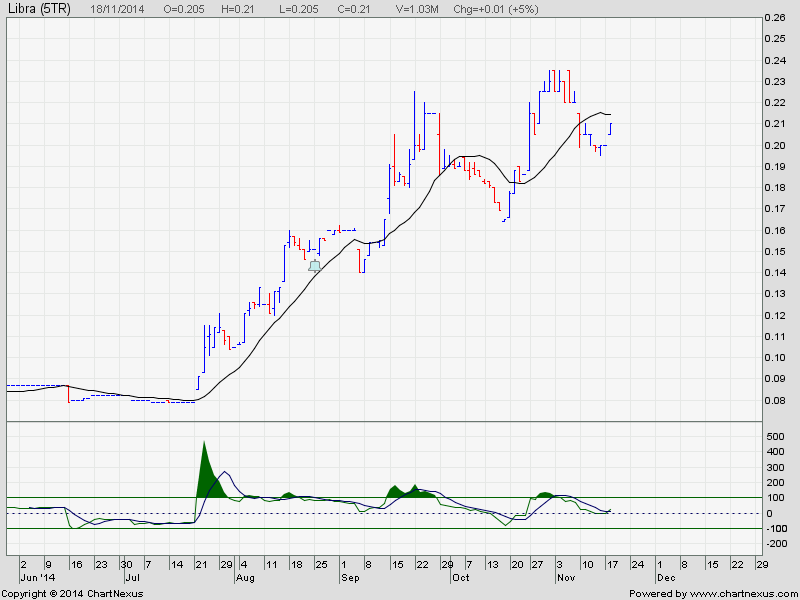 This stock is really kind to give a second chance to those who have missed it before it really ran. 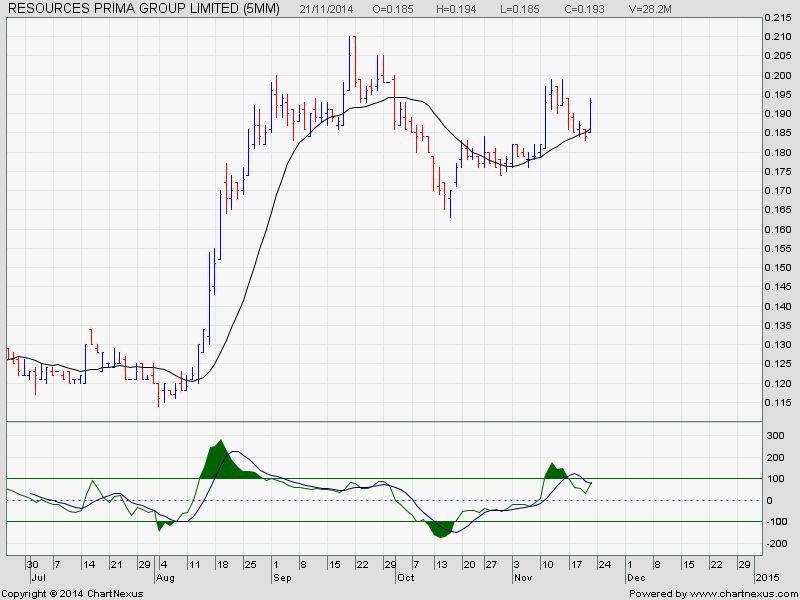 Ezra is a dead stock for shorting especially now when the market may go through a pullback. Today, my Money In The Chart Facebook had exceeded 100 Likes. This is a good sign that more people are benefitting from the stock pick here to extract money out of the stock market. Hopefully, the extra money obtained can help to improve their quality of life in Singapore. 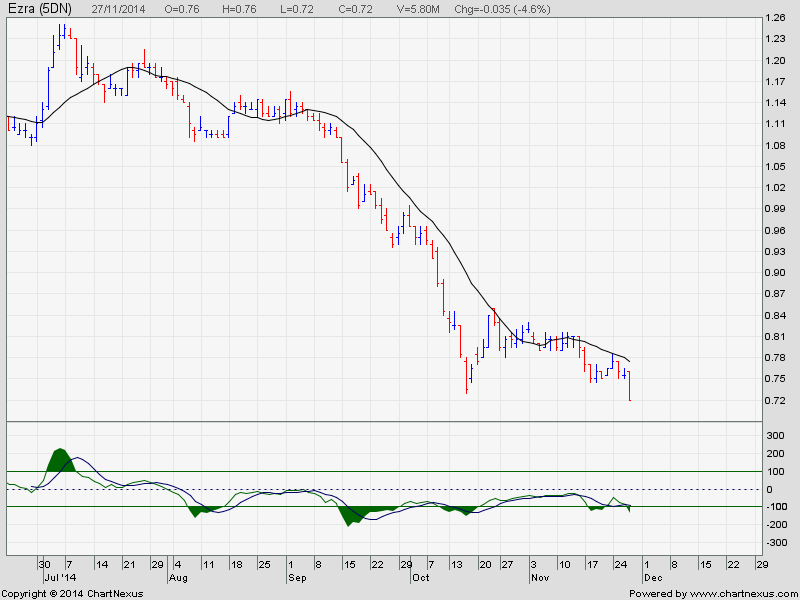 Another marvellous stock that may start to run again after a brief retracement. Catch it before it flew away. 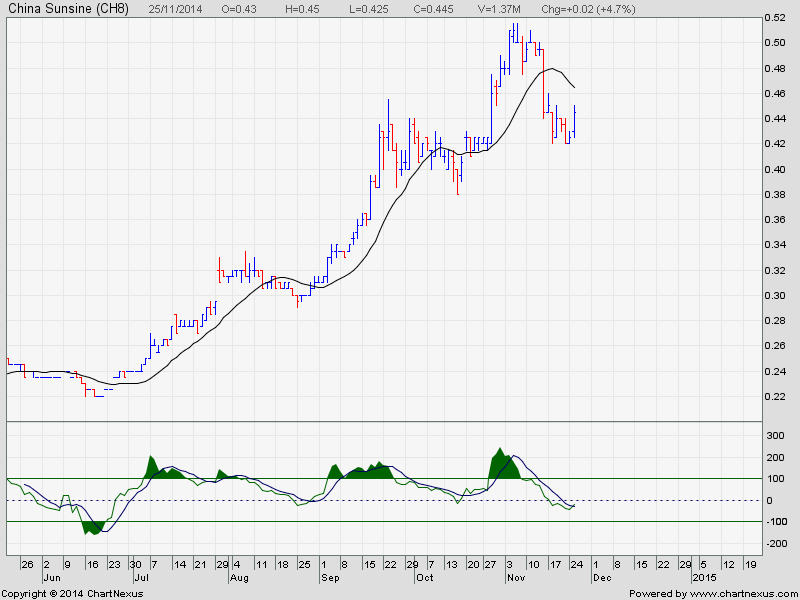 1) Today, many stock from my watchlist had rebounded strongly. This week may be a good one to extract money from the market again. 2) I am waiting patiently for my New Year present from Rowsley and Adventus. I think I am gonna get it soon. 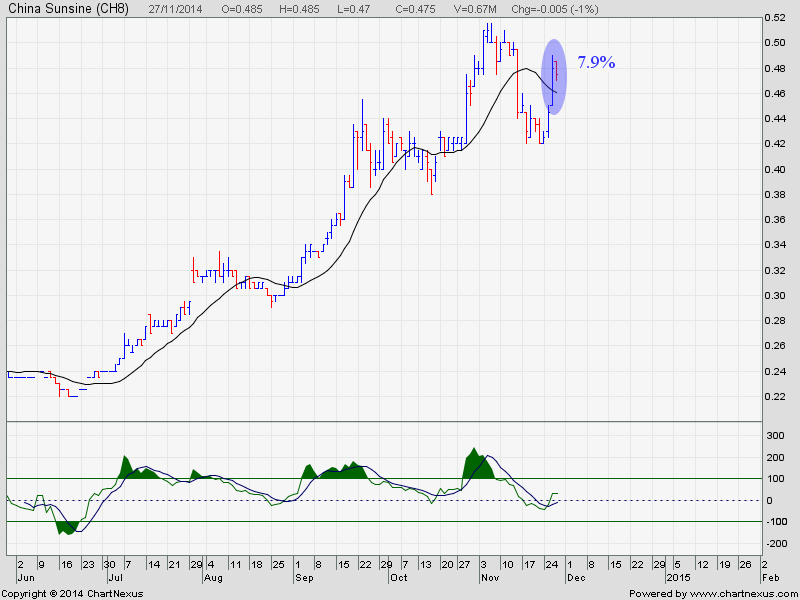 This marvellous stock may start to run again after a brief retracement. Catch it before it is gone! This is one of my favourite stock. Today, there is an entry signal to extract second round of profit from it. Yesterday, I had a wonderful time teaching the audience, who came for my Unit Trust seminar, on the correct and proper way of investing in Unit trust. Imparting them the technique of extracting regular profit from the market in a safe and steady manner. My seminar was suppose to be 2 to 4.30pm. But, it ended at 7pm because we had a good discussion on everything that is related to trading and investment. I answered all the queries from the audience till the last person to leave the seminar room. I don’t mind helping these genuine people who wants to grow their money as I understand how it feel like to live in Singapore where the cost of living is high and our salary is almost stagnant. This is also one of the main reasons why everyday I post stock call on this blog. It is to let reader make some money from the stock market to alleviate the impact of ever rising inflation. 1) This week, the US market may start to pull back after going up continuously for 5 weeks. Today seem like Christmas Day. I received a few christmas presents from Santa claus ( Mr Market ). I love SBI Offshore. Last month, my student and I profited 28% from it. You can read it here. Today, it gave me another 27% of profit. I am going to use this round of profit to book a year-end holiday to Europe to spend my christmas there. Let the market pays for all our holidays, expenses and retirement fund. This should be the role of the market. I am looking forward to this saturday Unit Trust seminar whereby I will be teaching my new batch of student on how to make the market pays for their retirement fund by systematically extract money out of the global market in a safe and steady manner. Rowsley is coming back very strongly. If you would like to bring your family for a good year-end holiday, this is your chance to make the market pays for it. 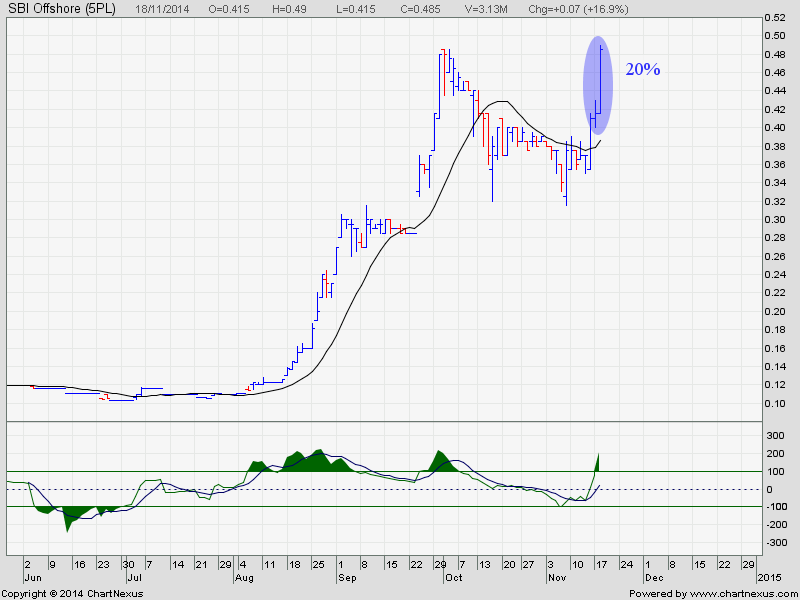 Here is another stock that may start to run soon. Watch for it ! 1) Watch out for Adventus. A BIG move is approaching. SBI Offshore – Look At That ! Do I have to say more ! This stock call was posted here last Monday . I love Breadtalk. Every time I entered this stock, it will sure give me a profit. This stock call was posted yesterday. Today, it gave me a profit of 4.3% to buy their premium bread for my breakfast and supper despite a down Asia market. This is the benefit of owning a world class stock trading system whereby one can systematically extract money out of the market regularly. If you want to know how I can double your CPF and Cash every 3 – 4 years using my other Unit Trust Investing System, register for my seminar here. Life Is For Trading, Not Working.